Victoria Justice - Revolve Party Coachella Valley Music and Arts Festival Indio April 13th 2019. Victoria Justice - Beefeater Pink Gin Lounge Party Los Angeles April 11th 2019. Karen Gillan - Special Screening of ''Jumanji: Welcome to the Jungle'' Tokyo March 14th 2018. 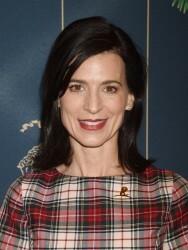 Perrey Reeves - Brooks Brothers and St. Jude Annual Holiday Party Los Angeles December 2nd 2017.